Look, Meg! My bird is on my shoulder. 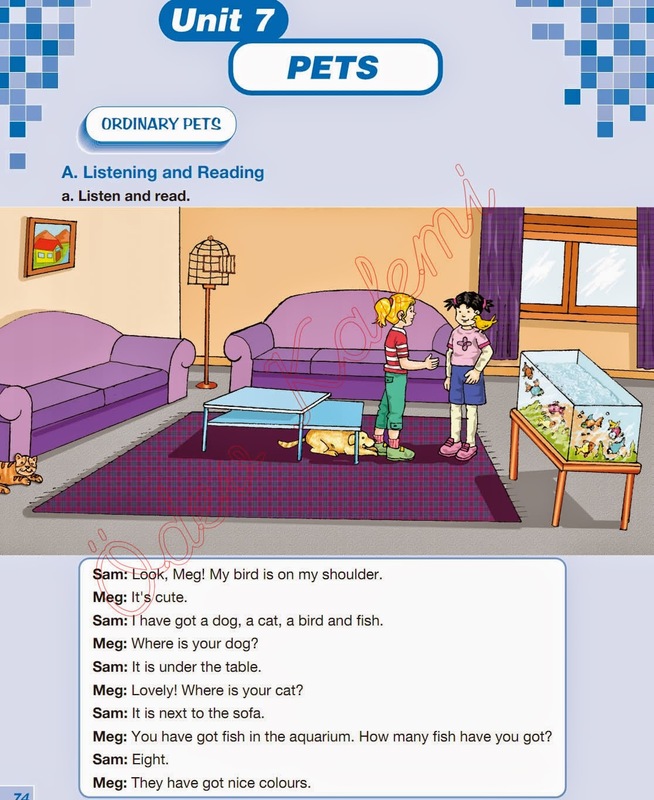 I have got a dog, a cat a bird and fish. Where is your dog?